Bravis N1-550 Cruiser has been launched in Ukraine with a massive 4500mAh battery. The device focuses on those on a budget who will like to use an affordable smartphone with massive battery capacity. 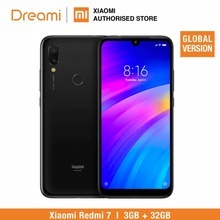 It’s also sports full view display and four cameras (two at the back and two at the front) just like the Redmi Note 6 Pro, furthermore, it has a starting price of 2,799 UAH. The device is built with plastic mainly and has dual rear camera. It does not have a fingerprint sensor or facial recognition feature, you have to use the pattern unlock feature. It measures 9.5mm in thickness, weighs 212g overall and will be available in only black color only. The N1-550 Cruiser is built around a 5.5-inch IPS LCD full view display. The screen boasts of 640 x 1280 pixels in resolution along with a 260 pixel per inch density for clear visuals as well. Overall, the screen stretches up to 76.63% screen-to-body ratio. It runs on Android 8.1 Oreo out of the box as well. Under the hood, the MT6580A from MediaTek is still in total control, it comes with 4-cores of processor clocking at 1.3GHz for a smooth ride. The ARM Mali-400 graphics card is in control of everything graphics. The phone boasts of a 16GB internal storage space for storing up your files, this is expandable up to 128GB using a memory card. It boasts of 2GB RAM space, this can be used to multitask through apps and tasks. The Bravis N1-550 Cruiser is equipped with dual 13MP + 0.3MP rear camera for taking photographs. The camera is equipped with a LED flash and other internal features listed in the table below. For taking selfies, there’s a dual 5MP + 0.3MP selfie shooters. Powering up the N1-550 Cruiser is a massive 4500mAh battery capacity with no support for fast charging. Charging the battery from 0% to 100% might take up to 3.3 hours tops. Have You Seen This? Google Pixel 2 VS Pixel 3: The new Google Pixel 3 Is Disappointing! Bravis N1-550 Cruiser has been launched in Ukraine with a massive 4500mAh battery. The device focuses on those on a budget who will like to use an affordable smartphone with massive battery capacity. It's also sports full view display and four cameras (two at the back and two at the front), furthermore, it has a starting price of 2,799 UAH. Next articleCoolpad M3 with Notch Display, 4GB RAM, Dual Rear Camera unveiled!